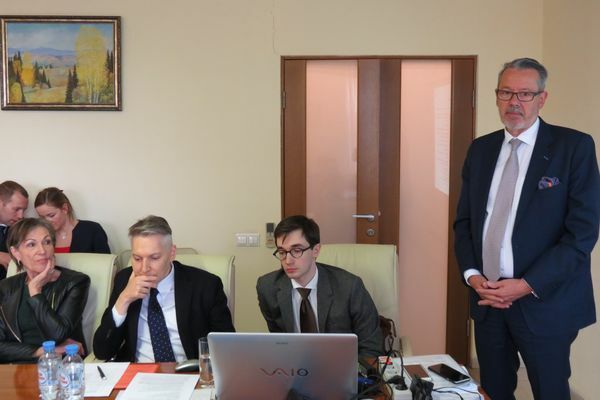 On April 4, Novosibirsk entrepreneurs met with the Swiss delegation headed by the Ambassador of Switzerland in the Russian Federation Yves Rossier. 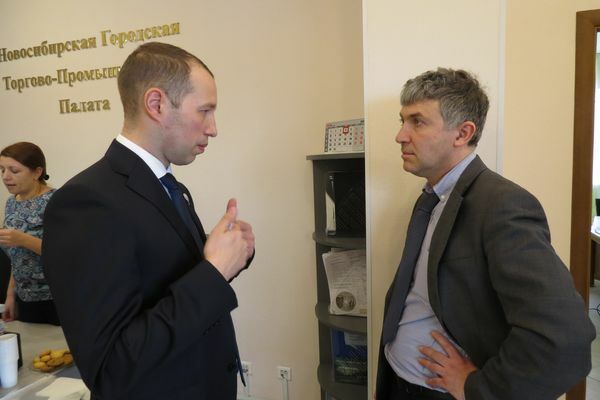 The meeting took place at the Novosibirsk City Chamber of Commerce and Industry. 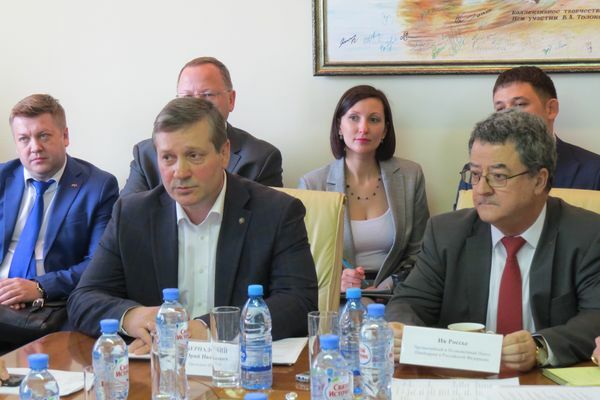 The Swiss delegation visited Novosibirsk city in the purpose of opening the Honorary Consulate of Switzerland in Novosibirsk and establish mutual business relations between companies of two countries. The Swiss delegation was represented by 13 companies. 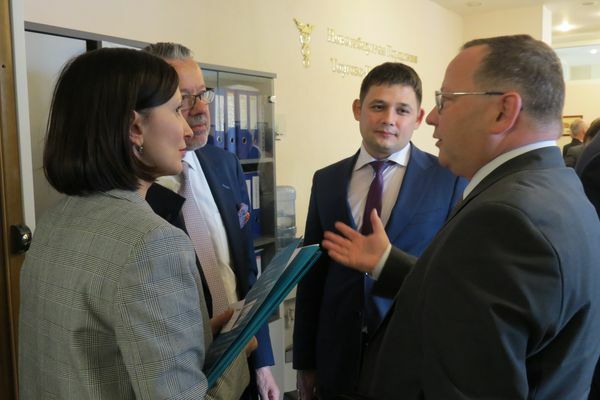 Novosibirsk side was represented by the President of the Novosibirsk City Chamber of Commerce and Industry Yuri Bernadsky, the Vice-President of the Novosibirsk City Chamber of Commerce and Industry Tatyana Bernadskaya and 10 Novosibirsk companies. The President of the Chamber Yuri Bernadsky greeted the delegation, told about Novosibirsk region economic potential, and noticed that the external turnover between Novosibirsk and Switzerland was relatively small, but it was increasing. Traditionally international contracts were signed for machinery, equipment, polymeric materials. 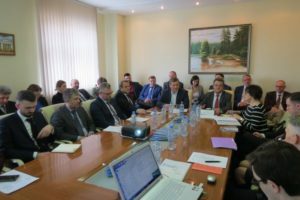 There were about 100 companies with the participation of foreign capital (including 5 companies with the Swiss capital) in Novosibirsk region. The Ambassador of Switzerland in the Russian Federation Yves Rossier stressed that the main purpose of the business mission was to find partners, which would extend economic relations between two countries. 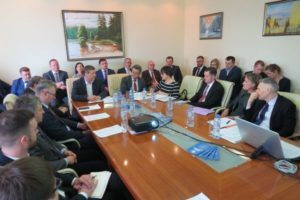 During the meeting representatives of Novosibirsk and Swiss companies received the opportunity to talk in detail about their products and services, took part in b2b negotiations and exchanged the contact information.